If you’re looking to splash out on an OELD TV and are a Sony fan, here’s some good news: the company’s latest lineup is a lot cheaper than last year’s models, which started at $5000. 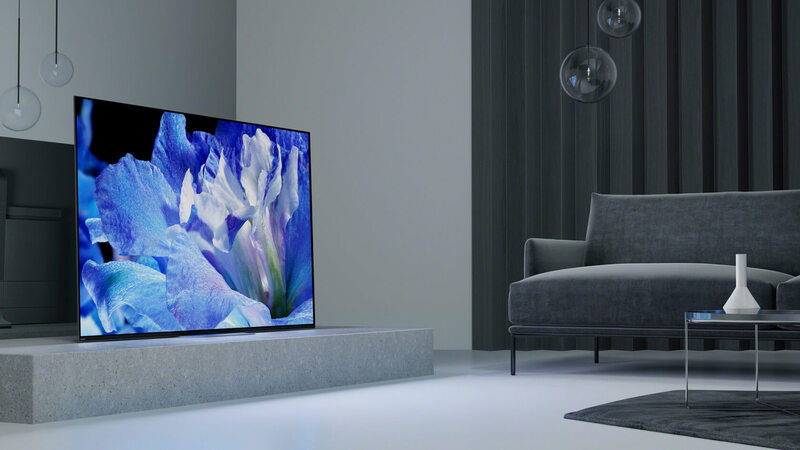 Sony has announced that its 2018 A8F OLED television starts at $2800 for the 55-inch model, with the 65-inch version coming in at $3800. It features an all-new one slate design that makes it easy to mount close to the wall, and comes with an X1 Extreme processor to deliver an “exquisite” contrast and 4K HDR picture. While there are other companies that offer OLED TVs at a lower price point, Sony’s Acoustic Surface technology that could help justify the A8F's cost. The feature, which is also found in last year's OLEDs, lets sound emanate from the entire display. Vibrating units behind the panel allow the sound to move from side to side within the picture and be isolated to certain parts of the screen, so effects such as dialogue appear to come directly from characters’ mouths. For those who want most of the benefits the A8F offers but would rather pay less by opting for an LCD screen, there’s Sony’s XBR-X900F line. These TVs start at $1100 for a 49-inch model, reaching $5300 for the largest, 85-inch version. You can save even more by choosing one of its X850F sets, which lack the X1 Extreme processor; these start at $1800 for a 65-inch and reach $4500 for an 85-inch. While the A8F and other Sony 4K TVs do support HDR10 or Hybrid Log-Gamma, buyers who want the Dolby Vision HDR standard will have to wait until it arrives via an update later this year. Some X900F and X850F models are available through Amazon and Best Buy now, while the A8F is can be preordered from both companies. I waited too long for VRR (Variable Refresh Rate). Six more months to go then I'm getting a TV. For those who can't wait, Sony OLEDS actually have a better picture compared to LG's due to their more mature processor, but the input lag is considerably behind. I don't prioritize gaming or watching TV, so I'll wait. Delaying the Dolby Vision HDR feature with a future, promised update is a joke. Sony was once the dominate television supplier in the US. Any idea why are Samsung, LG & Vizio are eating their lunch now? They may not be dominant, but they still sell a quality product at any price point. And if you know a dealer u can get em CHEAP. Several years back, Sony appointed a western-educated business wonk as their chairman. It was at this point that Sony's technological leadership started to flounder. That wonk got rid of many brands including XBR, XBR^2, and ES. By the end of his reign, the damage was done and subsequent chairmen seem to have struggled to get back the reputation they once has as technical leaders - IMO. However, I really have not seen what even seems to be a willingness to get back to where Sony once was. Sony probably views its entertainment division as its cash cow, and technological leadership is something that has fallen out of favor. It is good, however, to see OLEDs coming in at a lower cost. It will be interesting to see reviews on these sets especially if they are favorable in comparison to OLED TVs from other manufacturers.